It certainly rivals the Babe Ruth trade to the Yankees as one of the worst in Red Sox franchise history, especially in hindsight. 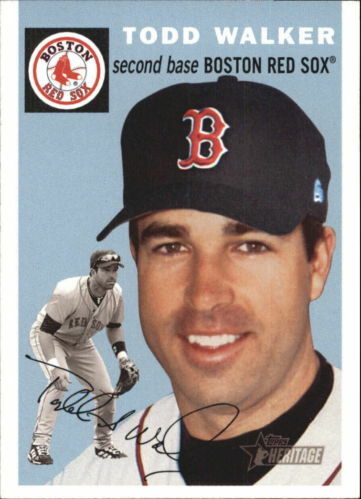 But when Boston GM Lou Gorman decided to send Red Sox prospect Jeff Bagwell to the Astros for veteran middle reliever Larry Andersen, you need to remember that Bagwell had yet to play in a big league game and the Red Sox were entering the stretch run of a close division race with a bullpen that was giving up runs by the bushel. Andersen in fact pitched very well for Boston the last month of that season and helped them capture that Eastern Division crown. 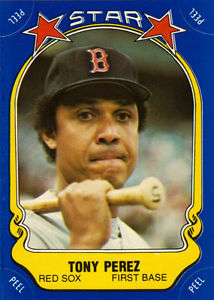 But he was 37 years-old at the time and when he got roughed up by the A’s in that year’s ALCS, the Red Sox let him go. You know what Bagwell did after he got to Houston. The only question left unanswered at this point is will the all-time Astro home run leader (449) make it to Cooperstown. The saddest aspect of the trade from the viewpoint of Red Sox fans is that Bagwell was a hometown boy, born in Boston who grew up rooting for the team and idolizing Carl Yastrzemski. He had just one plus years of minor league ball under his belt at the time of the deal but he was definitely proving he had the right stuff to play regularly in the Majors. If he had spent the fifteen seasons of his big league career playing his home games in Fenway, there’s no way of knowing how many more homers he would have hit or how many more postseasons his bat would have helped the Red Sox reach. What could have been? We will never know. After an outstanding collegiate career at LSU, Todd Walker was a first round selection (and eighth overall pick) of the Minnesota Twins in the 1994 MLB Draft. He made his big league debut two seasons later and by 1998 was the Twins’ starting second baseman. He hit .316 that year and everyone including me thought this native of Bakersfield, California was on the cusp of a great big league career. Instead, he slumped offensively the following season and when he got off to an exceptionally slow start at the plate in 1979, the Twins accepted an offer from the Rockies and sent Walker to Colorado. That began an odyssey that would take Walker to six different big league teams during the final seven years of his career. One of the first moves Theo Epstein made after he was hired as Boston’s GM in 2002 was to acquire Walker, who was then playing for the Reds. He became Boston’s starting second baseman in ’03 and had a solid regular season with a .283 batting average and 85 RBIs. He also had played very well in both the ALDS against Oakland and especially in the ALCS against the Yankees, hitting a total of five home runs in those two playoff series.. That’s why I and a lot of of other people were shocked when Epstein let Walker declare free agency that fall and sign with the Cubs. His last year in the Majors was 2007 and he retired with a .289 batting average and 1,316 hits for his twelve-seasoon career. This guy really was a good, all-around big-league infielder for every team he played for and it sort of mystifies me that so many ball clubs let him get away. 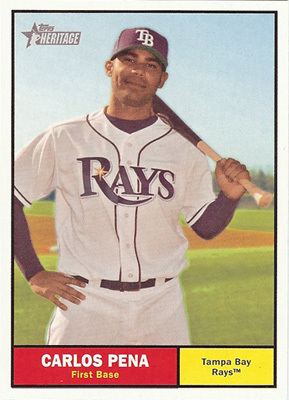 He wasn’t a Red Sox for very long or very productive during the time he spent with Boston, but Carlos Pena did have some very good years as a Major League first baseman during his thirteen year career. Born in the Dominican Republic in 1978, he made his big league debut with the Rangers in 2001. Texas traded him to Oakland the following January and then, half-way through the 2002 season, he was one of seven players swapped in a three-team trade involving the Angels, Yankees and Tigers that landed Pena in Detroit. He won the starting first baseman’s job in Motown during the 2003 season, which turned out to be one of the worst years in Tiger team history. His best year in Detroit was 2004 when he slugged 27 home runs and drove in 82. But after slumping significantly in 2005 and playing terribly the following exhibition season, Pena was abruptly released by the Tigers toward the end of their 06 spring training camp. The Yankees then signed him that April to a minor league contract and he spent most of the 2006 season playing for New York’s minor league affiliate in Columbus. A clause in his Yankee contract permitted him to become a free agent if he was not called up to the parent club in a certain number of games and Pena exercised that clause that August. The Red Sox signed him the next day. He finished the 2006 season playing eighteen games at first base for Boston, averaging .273 with 1 home run. Pena hit from the left side and was a strict pull hitter, not ideal for someone playing half their games in Fenway Park, which probably best explains why Boston showed little interest in re-signing him. Tampa Bay did instead and during the next four years he smacked 144 home runs and drove in 407 for the Rays. Pena last played for the Royals in 2013. He turns 36-years old today and remains an unsigned free agent. Since he’s made close to $50 million during his big league career, I don’t think Carlos is too worried about being unemployed this season. After missing the postseason in 2010 and seeing their television ratings sag, Red Sox ownership decided they needed to make some big changes during the offseason. Their mission was accomplished when they let both Victor Martinez and Adrian Beltre sign elsewhere as free agents while they traded four prospects to the Padres for first baseman Adrian Gonzalez and offered outfielder Carl Crawford a megabucks deal to come to Boston. The Crawford signing proved to be a disaster from the start but it looked at first as if the Red Sox struck gold with Gonzalez. During his first season in Beantown, he led the AL in hits with 213, averaged .338, won his third Gold Glove, made his fourth straight all star team, and though he was a left-handed hitter playing half his games in Fenway, he still managed to belt 27 home runs and drive in 117. In fact it would have been a perfect first season for both the player and his new team if the Rays hadn’t caught and edged out the slumping Red Sox late in the season to capture the 2011 AL wild card spot. That end-of-the-year collapse and second straight missed postseason caused more panic in Boston’s front office and before you knew it, the Red Sox had fired Terry Francona as skipper and replaced him with Bobby Valentine. I wasn’t alone in predicting the managerial switch would be a disaster for Boston and both the team and their new field boss did a great job proving me right in 2012. Valentine started screwing with the team’s chemistry in spring training and by Opening Day he had his entire roster on edge. Though Gonzalez managed to continue to produce good offensive numbers, he hated playing for Valentine and led a contingent of players who went to John Henry and Larry Lucchino to ask that the manager be fired. Instead, the embarrassed Red Sox owner issued a public statement of support for Valentine and a month later made the famous $400 million house-cleaning deal with the Dodgers that sent Gonzalez, Crawford, pitcher Josh Becket and Nick Punto to the Dodgers for James Loney, Ivan DeJesus and three other prospects. 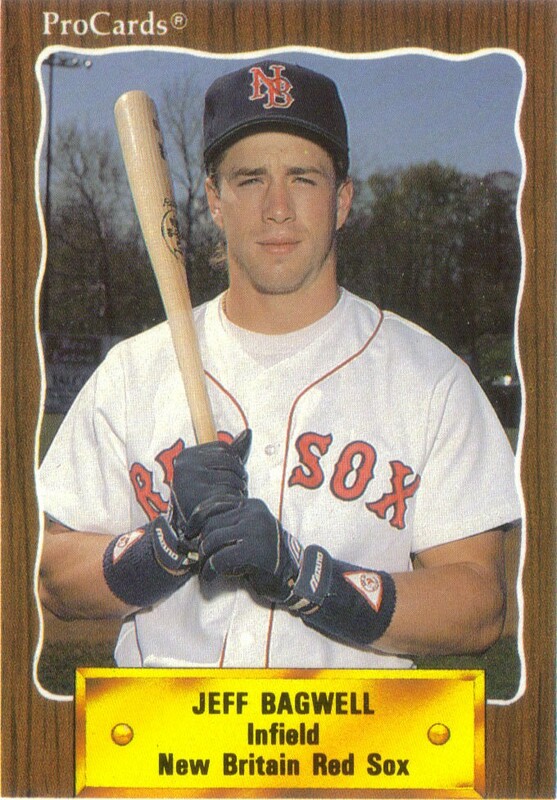 This native of Greeneville, Tennessee was the first Red Sox to win the AL batting title. 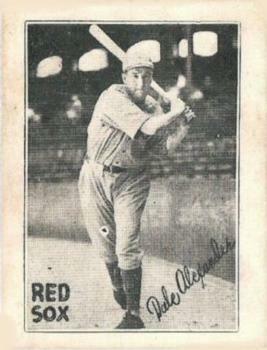 He accomplished the feat in 1932, after spending the first 50 games of that season as a member of the Detroit Tigers. He was hitting just .250 in mid June of that year when he and Roy Johnson were traded to the Red Sox for an outfielder by the name of Earl Webb. 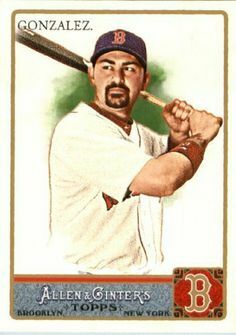 Once he put on a Boston uniform, he went on a tear at the plate and hit .372 the rest of the season, finishing the year with a .367 average, which was three points higher than runner up Jimmy Foxx. Alexander was no stranger to a .300 batting average. In fact, since he made his debut with the Tigers three years earlier, this big first baseman had never averaged less than .325. During his rookie year in Motown, he hit .343 with 25 home runs and an amazing first year total of 137 RBIs. There was no sophomore jinx for this guy either. In 1926 he averaged .326 with 135 RBIs and 20 homers. There was no doubt that Dale Alexander could handle a bat. His biggest challenges were running the bases and fielding his position. He was mediocre at best at both skills but that sweet swing of his forced him into the lineup. 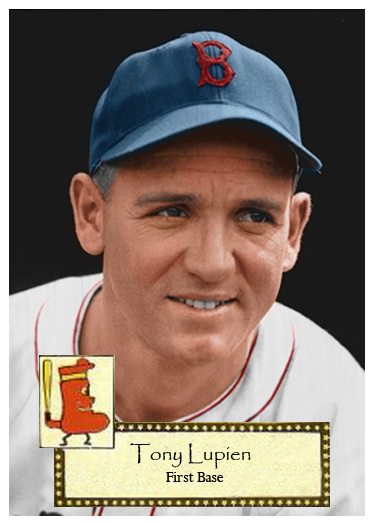 He had for some reason stopped hitting home runs after his second season with Detroit but he was still raking the ball all over Fenway, when on Memorial Day during the 1932 season, Alexander hurt his leg sliding into home. The Boston trainer had just started using a new deep heating machine as therapy for bruised muscles and joints and by accident, left the machine on too long while treating Alexander’s injury. The leg was badly burned and actually shrunk and atrophied from the overexposure. He never fully recovered and was out of the big leagues for good after that 1933 season. He did manage to continue his playing career in the minors for nine more seasons and continue to average well over .300 while doing so. Alexander passed away in 1979 at the age of 75. Tony Lupien may not have been the best starting first baseman in Red Sox history but he certainly would be considered high on the list for the best educated. This guy, a native of Chelmsford, Massachusetts, went to Harvard. He had some great seasons playing college ball for the Ivy League school and when he graduated in 1939, he signed with the Red Sox. Boston still had Jimmy Foxx hammering the baseball and starting at first back then but the hard-living “Beast” was beginning to slow down. When the future Hall of Famer’s home run production fell to 19 in 1941, Boston manager Joe Cronin decided he would give Lupien a shot to win the veteran slugger’s job during the team’s ’42 spring training camp. Foxx ended up winning that competition but then broke a toe in a late April game, opening the door for Lupien. The rookie stepped in and gave the Red Sox a solid first year performance, averaging .281 and driving in 70 runs in just 128 games of play. His one real weakness was his lack of power. As a left-handed singles hitter, he could not provide the Boston lineup with the power it lost with Foxx’s departure. When Lupien’s average (.255) and run production (54 RBIs) dropped dramatically in 1943, even though he played in all 154 Red Sox games that season, he was placed on waivers and signed by the Phillies. During his second year with the Phillies he was called into service and did an abbreviated 6-month hitch as World War II ended. It took him till 1948 before he got back to the big leagues as the Cubs starting first baseman but he was released at the end of that season. He ended up back in the Ivy League as the varsity baseball coach at Dartmouth. He passed away in 2004, at the age of 87.